The super-chunky HTC P6500 comes up with a high rating because if you need its features you simply won't ﬁnd much competition out there. However, don't even consider it if you are looking for something sleek and slim because these things it most certainly is not. It is a massive 73mm wide, 137mm tall and 21mm thick and it weighs more than 200g. You'll need big pockets or a bag to tote it around. On the other hand, if you want, say, a super-sized screen, then this one measure 3.5 inches, although the 240 x 320-pixel resolution is rather low. 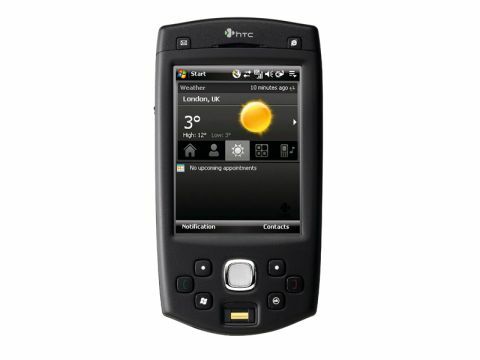 If you need plenty of data storage space, the HTC P6500 has two SD card slots. And if you are after fantastic security, the P6500 has a ﬁngerprint sensor. Battery life isn't quite as good as you might expect. We got six hours of nonstop music from its 1500mAh battery, which means you'll get a good two days formal use from it. However, we feel HTC could have squeezed a more capacious battery into the casing. The outer casing has a rubbery feel. There is Wi-Fi and Bluetooth and a 3-megapixel main camera. This is a 3G device, but there's no front camera for two-way video calling. want music too often. After all, the primary market is more likely to be couriers than students.